It’s funny–I was just thinking the other day about how much I missed Greek Isaiah in a Year. More than 200 of us read through the Septuagint text of Isaiah in a year, roughly five verses a day. Both the readings and the discussion were rich. I didn’t do anything like that this past year, though the Greek Isaiah in a Year Facebook group I’d created stayed active, as folks went after it a second time. Just this afternoon I learned that Russell Beatty, a member of the Greek Isaiah group, has started a Greek Psalms in a Year group, to launch January 1, 2015. That group is on Facebook, and you can see the well laid out reading plan here. I preached through some Psalms this past summer, which greatly deepened my love for that book of the Bible. I can’t wait to get started–feel free to contact me or request to join the Facebook group if you’d like to read along with us. Definitely! Can’t wait. In fact, I might not wait–may do some general browsing through the Psalter to get ready…. 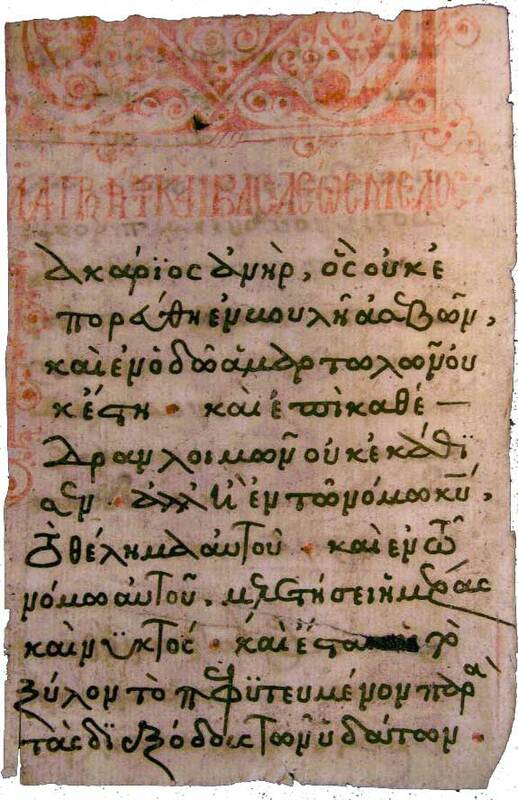 Coming Soon: Greek Psalms in a Year find out more at the Words on the Word Blog! Here’s a reading of the LXX Psalter. Excellent! Thanks so much–I will be glad to check it out and refer to it often.